I got this idea courtesy of Deckoz on the s2ki.com forums. 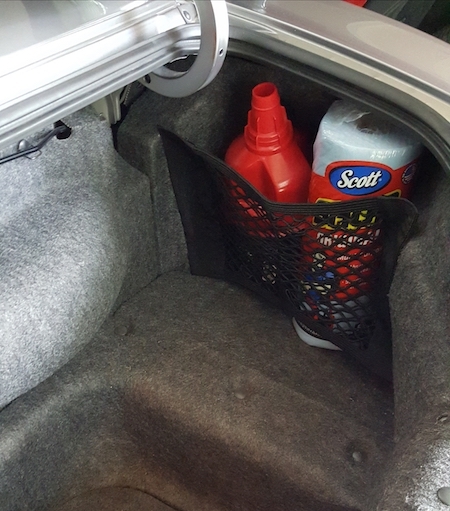 Every AP1 owner knows that having spare oil around is a necessity so I decided to outfit the trunk with a mini maintenance kit using a mesh cargo net I sourced on Amazon. It sticks to the carpet in the trunk using velcro so everything stays securely in place. Within the netting is a quart of Castrol Edge 10w30 synthetic oil, some paper towels, a funnel, detail spray and a micro fiber towel. I may throw a few more things in there but that’s what I stock for now. 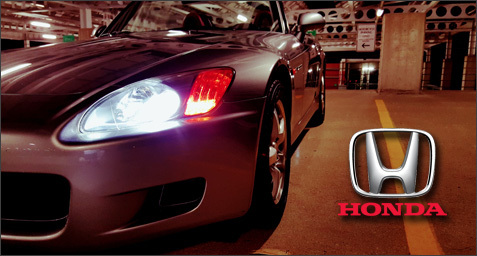 On these cars it is a good idea to check that oil at every fill up just to make sure you are ok. These cars do use a bit more oil than you may be used to when compared to other cars. Gas stations and nearby convenience stores are unlikely to have the brand of oil you use so why not keep a quart on you? It’s cheap insurance. The Rav 4 received a 40,000 mile oil change today along with an engine bay cleaning that was a little overdue. The Rav got the usual dose of Castrol Edge 0W20 and a genuine Toyota filter.